Remember that fancy Project LiveWire? 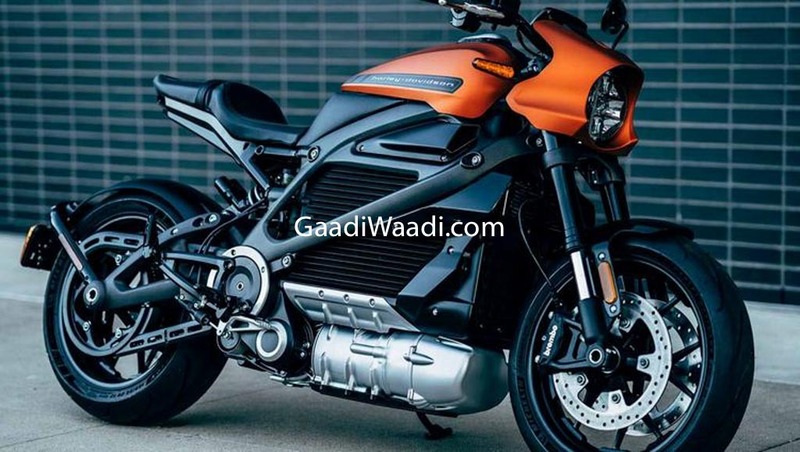 An electric prototype from Harley Davidson that created quite a buzz back in 2014 and even featured in Marvel’s “Avengers: Age of Ultron” movie. Well! The Good news is that the production-spec variant of that particular motorcycle was unveiled recently at the brand’s 115th anniversary and is set to debut in 2019. The livewire will be the iconic American motorcycle manufacturer Harley Davidson’s first all-electric motorcycle. The production-spec variant is built around a steel trellis frame and gets cast aluminum swingarm. Like every other Harley Davidson motorcycles, this too is belt driven and features an advanced performance-oriented Showa suspension, with inverted forks and a rear monoshock. The production-spec Livewire also features some modern technologies onboard in the form of a full-colour TFT instrument panel with smartphone connectivity. The rider can thus connect their Smartphone over Bluetooth and can use it for receiving calls, music and even navigation (like we find on the current KTM Duke390). The technical details of the motorcycle like the power output and range have not been revealed yet but we will inform you as soon the information’s are out and available. The Livewire was designed at Harley-Davidson’s Product Development Center in Wisconsin and is being built at Harley-Davidson’s state of the art manufacturing facility in York, PA.
Harley allowed motorcycles riders across the Globe to test the prototype and give their valuable feedback. Based on those inputs the production-spec motorcycle was designed. So what kind of motorcyclist will buy the Livewire if you ask me then I must inform you that according to HD this is their new strategy to attract the next generation of bikers. Harley Davidson also has plans to introduce 3 completely new motorcycles as well within the next few years including the much-hyped adventure touring motorcycle Pan America and a Streetfighter.